. Ice cream official website for homemade gelato: descriptions with recipes and images of ice cream scoops, pans and cups. Many gelato flavors available for any kind of palate: sweet like Italian gelato cassata and Italian gelato croccantino or the new Thai tea, creamy like dolce latte, hazelnut, vanilla, chocolate brownie, a little sour like yogurt blueberry, lemon strawberry and lemon sherbet, the equivalent of Italian "sorbetto al limone" the most sold gelato in Italian restaurants. 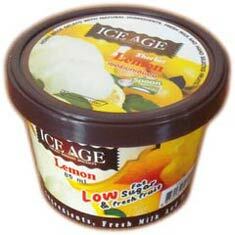 And even more dry taste like Japanese green tea, coconut and mango sherbet. 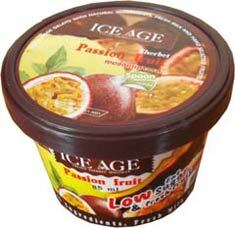 As all fruit gelato are low fat, it is a good ice cream diet solution for your health. This and more in www.icecream.ice-cream-showcase.com website area: here! The ice cream and gelato flavors are almost infinite as any gelateria, ice cream shop and ice cream parlor can create new flavors everyday with fruit and other dairy and non dairy ingredients and lots of fantasy too. Here you can see the homemade recipes adapted to a factory production maintaining a genuine final product. 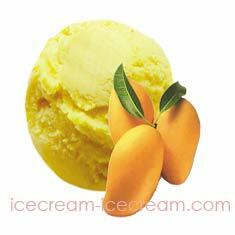 Ice cream and gelato are not only an iced cream with some sugar or a frozen dessert. You can see the necessary ingredients to create it. 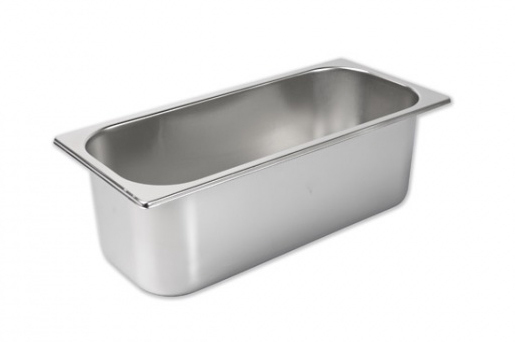 "Icecream" in boxes or pans is the most used way to wholesale ice cream and gelato. 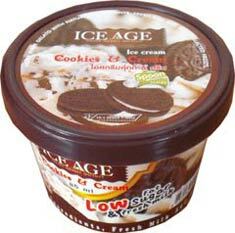 Cheap ice cream are sold in carton boxes of 3 or 6 kg. Sometime are sold by liters. 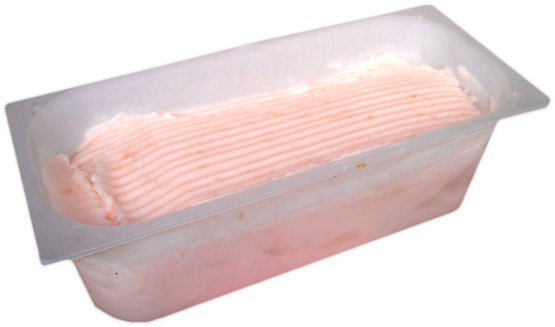 Higher quality product is sold in the typical rectangular container (above) that can be in plastic or in stainless steel. The average wholesale price of quality gelato and ice cream is between 190 and 350 per kilogram baht also depending on the flavors. As a factory is more easy and practical to sale in the plastic container as it can be easily inserted in the showcase and start to sale directly. 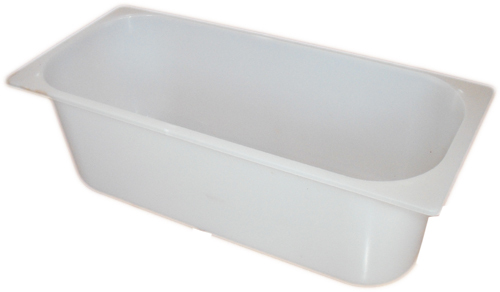 Our containers are in white food grade plastic. 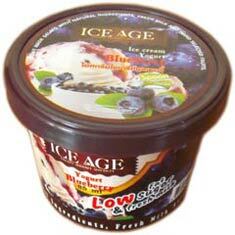 We can also prepare the ice cream that looks like a mountain to show to the customer for better sale results. 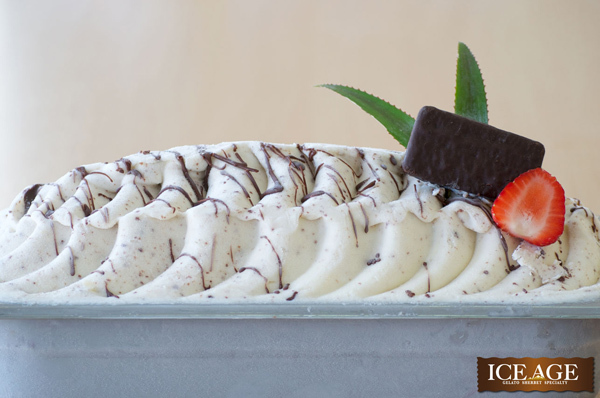 From the pans you can easily scoop the ice cream serving with a scoop. 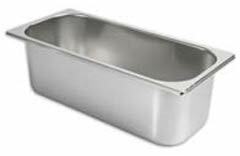 If the customer would like to show the ice cream and gelato in the stainless steel pans then we can fill his pans and create a turn over of these containers. 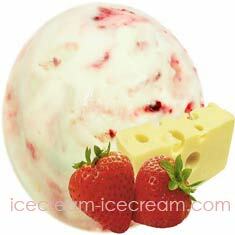 Even if we wholesale ice cream we can follow the customers needs. Our ice cream gelato production wholesale is also available in practical cups for a better sell. The product inside the cup is gelato. These nice packs of single portions are also good for hotels, resorts, restaurants and everywhere you want to be sure to serve a perfect product. Moreover the single serving packaging help to keep a precise count of your sale to avoid misunderstanding with your staff in stock management. Production of ice cream. 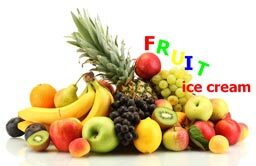 We have many flavors available each of one created with prime choice of ingredients, fresh milk, cream, whipping cream and low fat fruit. The importance of a correct balance in the ice cream recipe. Very important is maintain the correct proportion of ingredients to avoid obtaining a sandy gelato or maybe a sticky or gummy ice cream or a too strong or too easy to melt product. 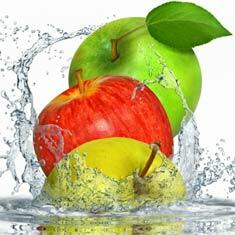 To create a correct proportion of ingredients we have to do a first division in solid and liquid ingredients. The total of all solid components of the recipe must be between 30% and 40% (to be more precise 32% and 42%) for gelato with milk and 30/35% in the fruit ice cream or sherbet. In this balancing process you have to consider that also the solids are also hidden in the liquid, for example the milk can contain till 21% of solid in his liquid, or what we consider apparently liquid. Moreover the total solid also have to be divided in more than one categories: solid from fat, solid from sugars, solid from milk (that are a mix of sugars like lactose and fats like cream) and other solids. We create these small list to help you out. Please note: 29% and 47% are numbers to be avoided, that is is the reason because you have to know the ingredients and balancing them. In fact the total solid sum should not be lower than 32% and not exceed the 42%. Please note: 26% and 35% are both correct amount. Please note again: Stabilizers are not fat solid if not differently declared from the manufacturing label. Now, how do I know the correct amount of sugars and fats contained in my ingredients? You can find many tables on internet, just Google "tabella quantita solidi gelato" but the results are in Italian... we provide here a basic table for you: solid and fat table. 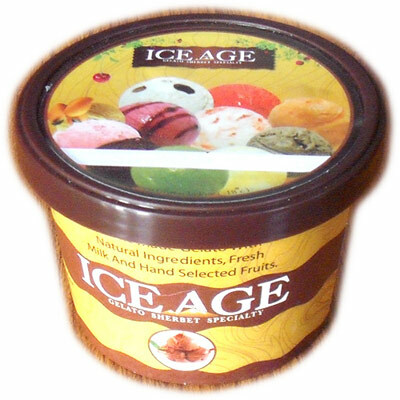 Disclaimer: When preparing ice cream and or gelato there are many factors that act together to get a nice and tasty result or an unpleasant melting pap. The quality of all ingredients, the temperature, the timing and the machinery, the way to mix and stir. So we cannot guarantee the result. Try with small amount first and go on perfection your stile step by step. Practicing a lot is a must to get nice gelato. You can also send an email to us with your proportion and we can evaluate by single case. In our production we can change the recipes at any time to improve results without obligation to give advance notes or website updating. 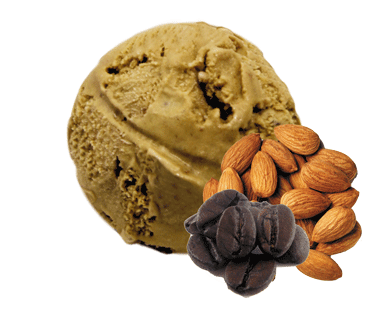 Recipe of almonds espresso: a strong taste coffee with a bounce of crashed almonds. 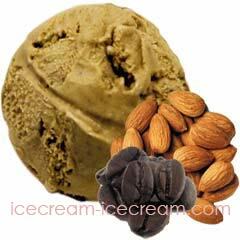 The almonds give a sweet touch without transform the coffee in a sweet cream maintaining intact the strong flavor typically of the coffee. This milk based ice cream is prepared in the classic way with a small shrewdness. The coffee is prepare and boiled separately from the milk pasteurization and add directly in the ice cream machine with the pasteurized mix. Then we let the machine works for 2 minutes more than usual. The pasteurized mix contains milk, sugar, stabilizer, dextrose. To softener the coffee taste we substitute some 5% of milk with whipped cream. Ingredients of almond espresso: almonds, strong espresso coffee in 7% of the milk volume, sugar and dextrose up to balance the recipe together with some water, stabilizer as suggested from the manufacturing, whipped cream as indicated here above in the recipe. 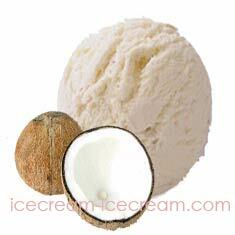 Recipe of coconut ice cream: The coconut ice cream that we produce is a particular product. 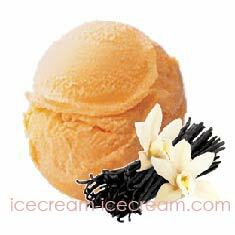 We mix the Italian gelato with Thai culture. 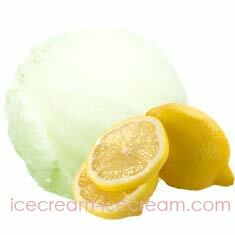 It is a gelato 100% and not a sherbet as we use real milk. The coconut taste really fit with milk so we prepare a mix of fresh milk and Thai coconut milk (namkathi น้ำกะทิ). Then we add real coconut puree and one and only one stabilizer. This is important as the use of more than one kind of stabilizer can result in a little sticky coconut ice cream. So a well balance between the amount of fresh coconut, sugar, dextrose powder and a bit liquid glucose is necessary to let the stabilizer properly work. 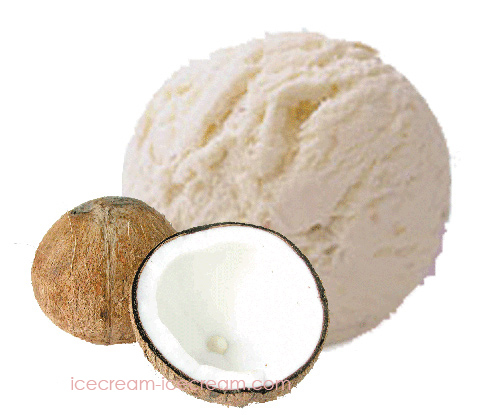 Ingredients of coconut gelato: coconut puree 10% of total milk and coconut milk (50% each), coconut paste just a bit to correct the taste, sugar dextrose and glucose up to balance the recipe, stabilizer as suggested from the manufacturing. 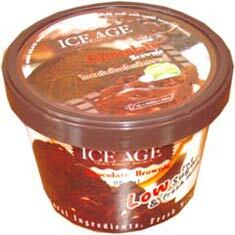 Recipe of chocolate brownie: a real brownie drowned in a creamy chocolate ice cream. This chocolate flavor is realized with cocoa powder and chocolate paste too! The cocoa powder (20% of the paste weight) is add in the mix of milk and chocolate paste just few minute before move the mix from the pasteurizer to the ice cream machine. 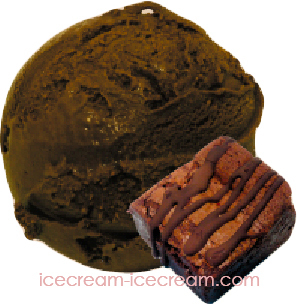 As we use quality cocoa you can almost feel the cocoa while enjoying the creamy gelato. Here we use 2 stabilizers to avoid precipitation of ingredients in the mix. The brownie is a classic brownie add during packaging operations. Ingredients of chocolate brownie ice cream: chocolate paste, cocoa powder, concentrated stabilizers, guar gum, milk, sugar and dextrose and brownie. If you want a more "al latte" taste add 5% of whipping cream and reduce a bit the amount of cocoa powder. 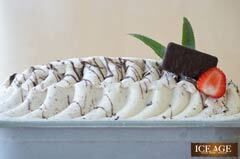 Classic milk flavor gelato with milk and 20% of whipping cream substituted in weight of the milk. 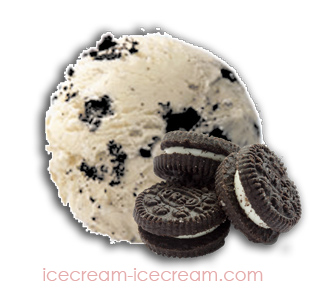 This gives a dramatic creamy taste that only the original Oreo cookie can pleasantly interrupt. Ingredients of cookie and cream: milk, whipping cream, 2 stabilizers: standard stabilizer and a bit of guar gum, dextrose and sucrose but not liquid glucose. Add crunched Oreo as you like. 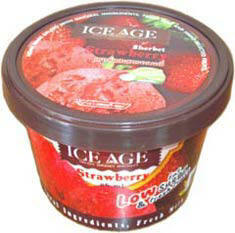 Try to check the ice cream in the machine: the timing is important to keep a smooth feeling without becoming too creamy. Vanilla with seeds for "coppa gelato"
Recipe of ice cream vanilla beans: The different between vanilla and vanilla beans is that the ice cream will contain also the small beans that are inside the flat-leaved vanilla. These beans are extracting manually in the vanilla production center and then add to the gelato. This give a new feeling for vanilla eaters as can feel also the small seeds while the cold cream is melting in the mouth. Ingredients of vanilla beans gelato: vanilla beans. Please determinate the amount by yourself. Remember that too many seeds can give a bad feeling. The right amount is when you can hardly see them in the icecream. Then Milk. Infuse the vanilla leaf in the milk while pasteurizing following the timing suggested from your vanilla supplier and add vanilla paste to increase the flavor. 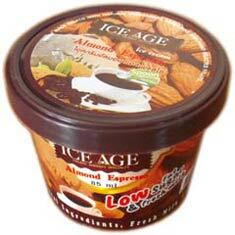 Add dextrose, sucrose, liquid glucose and stabilizer in the amount suggested from the stabilizer manufacturing. For a more individual taste add a top of 5% of the whole weight in liquid whipping cream just before entering the batch freezer. 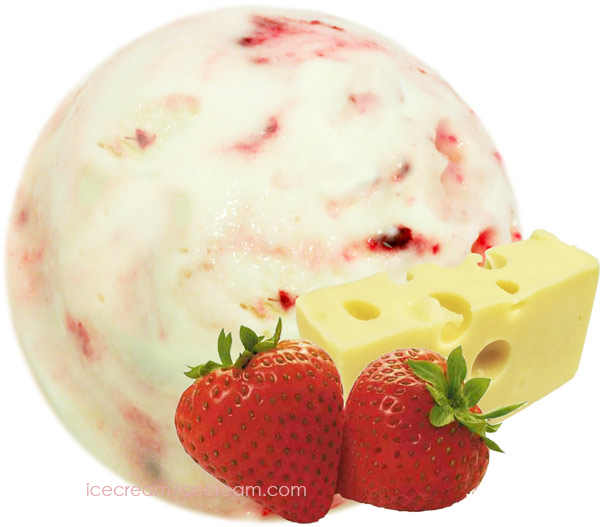 Recipe of strawberry cheese cake: a bit of sour from natural cheese gives to this strawberry gelato a special note as it is not a sherbet. The strawberry are chosen between the most sweet available on the market transformed in puree and then mix with milk and cream that are already been mixed. The cheese is melted and beaten with sugar before add everything together to the pasteurizer. Bit of paste to adjust the taste. Ingredients of ice cream cheese cake: ripe sweet strawberry, cheese (a creamy cheese or even a stronger one, the amount depend on the kind of cheese, use your taste but don't use blue cheese), sugar, glucose syrup, stabilizer, milk and cream (90%-10%) up to balance the recipe add some strawberry paste and glucose in powder. 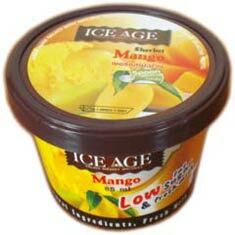 Sweet mango at the right point (in Thai called Mamuang nam dogmai) transformed in puree with sugar and glucose syrup. 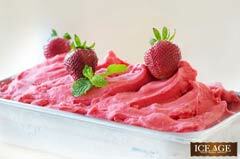 Use lots of time to prepare the puree has you don't have to have any sort of filaments. In the pasteurizer you can add some lactose only to balance the solid and in a small amount, not over 1%. Ingredients mango sherbet: water, mango, mango paste, sugar, glucose, stabilizer as indicated from manufacturing label, lactose. 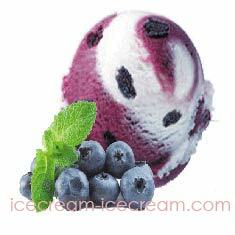 Recipe of yogurt blueberry: a bit acid taste for whom like yogurt with a mix of berries from the wood. The blueberry combines very well with the acid back taste of yogurt as the flavor is not so strong as strawberry and can join also with milk products giving a not too much sweet result. Note that it is difficult to find a right level of acidity. 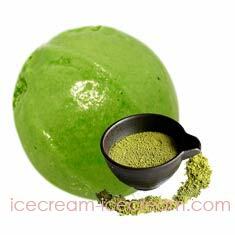 A bit of citric powder can help you but many attempts are required for a deliverable result. Take always note of the used amounts. And at the and add blueberry topping! Ingredients of yogurt blueberry: frozen blueberry as it is difficult to find fresh, blueberry paste, sugar, dextrose, guar gum, stabilizer, yogurt gelato paste, citric acid, milk, whipped cream if necessary to adjust the taste. 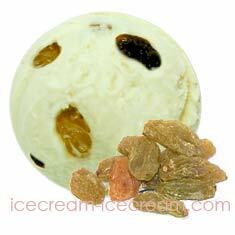 Ingredients of ice cream rum raisin: rum, use the dark rum, raisin, very important the quality to avoid back taste. 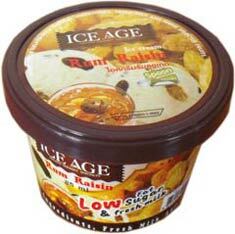 you can mix different colors of raisin, milk, cream (94%-6%), sugar, dextrose, lactose, guar gum and stabilizer. Don't use glucose. Very important the quality of the green tea. Not all, even if they can let you get a nice hot tea, can became a tasty gelato. Once you have got the right green tea prepare the infusion and filter it, then also add pulverized green tea leaves, dextrose, stabilizer, guar gum and a bit of sugar to balance in the final. 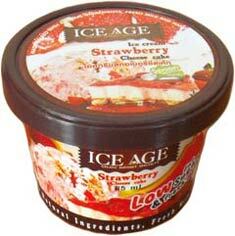 Maybe necessary few grams of citric acid together with some green tea paste. 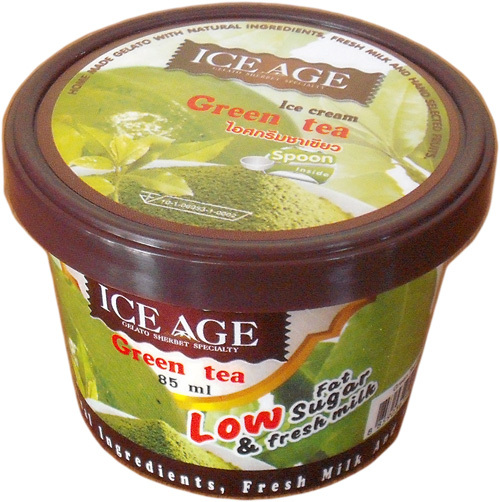 Ingredients of ice cream green tea: water, green tea as infusion, green tea as powder, paste, dextrose, stabilizer, guar gum, citric acid. Don't use glucose. 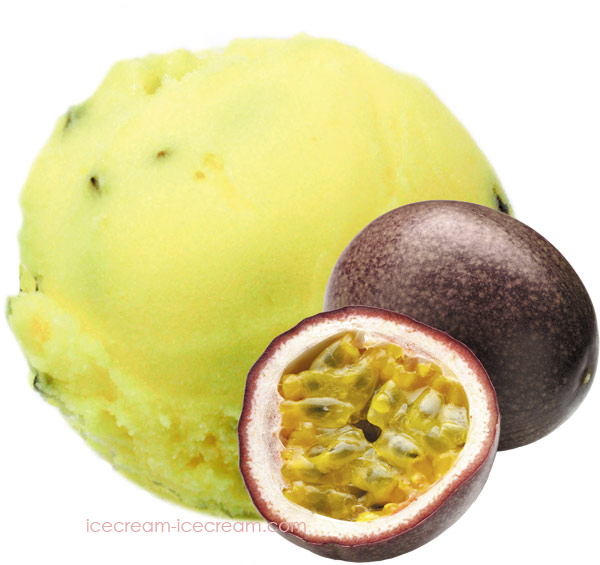 Fresh passion fruit are transformed in puree and removed the seeds. You can also keep the seeds, depends on the way you like it. Mixed with water (1kg fruit puree with 2lt of water). Ingredients of passion fruit sherbet: water, passion fruit paste, sucrose, dextrose, glucose syrup, stabilizer. 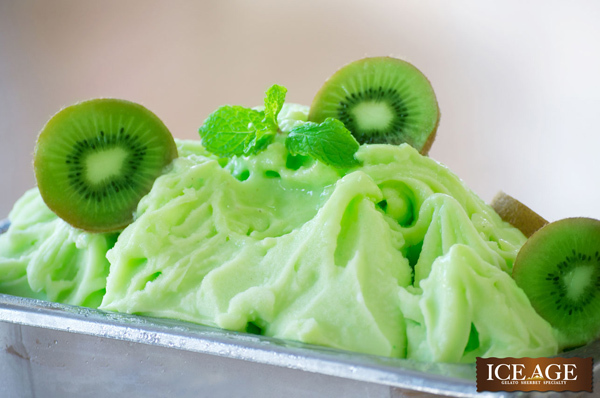 This green apple sherbet has a pleasantly sweet taste as we mix green apples with red apples and Golden Delicious apples in proportion of 5-1-1. 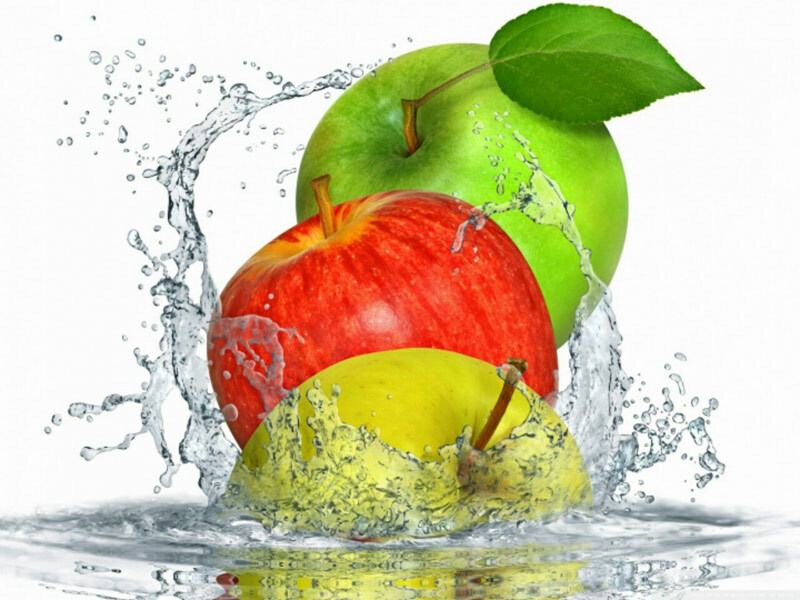 The red apples is perfect to match the sugars, the Golden Delicious together with the stabilizer give a more smooth ice cream result, the green apples characterize the flavor. 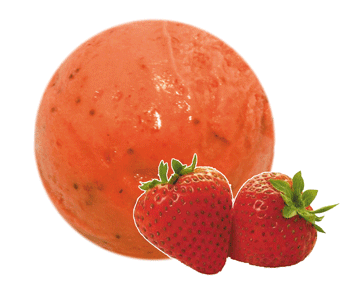 Fresh fruit is blended, fruit paste is added later. Ingredients of green apple sherbet: water, green apples, common red apples, Golden Delicious apples, green apple paste, citric acid, stabilizer, sucrose, dextrose. Don't use glucose.